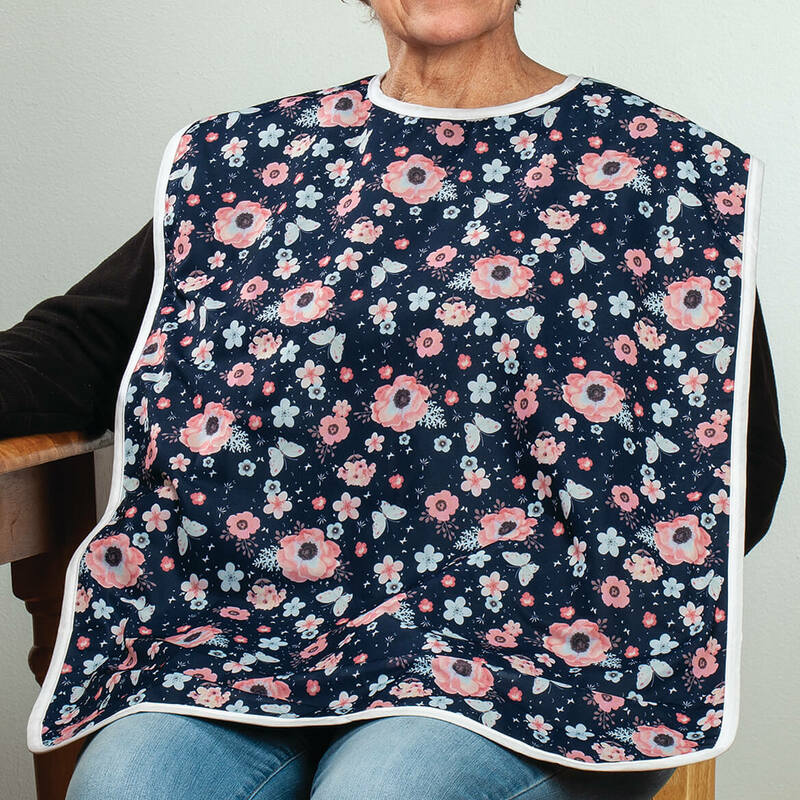 I purchased this for my mom to et without getting her clothes messed up. It's perfect - and I can easily take it with us if we go out to eat somewhere. I love it. It is the best shirt protector I have purchased so far. I got myself a couple of these. I spill on my clothes a lot when eating. this helps keep stains off my clothes. I'll be getting more of them.Great for anybody who wants to help keep their clothes cleaner while eating. This is the greatest item I have ever purchased to protect me from my typical ice cream and chocolate syrup drips on my white shirts. I am so delighted that I do not have to worry any more about dropping ice cream and chocolate on my shirts. This has saved me a lot of laundry time and frustration over my messy desserts. Thanks for this great invention! Good color for both men and women. Worth the price. Would buy again. I sit to cook and it's convenient for that , also for eating a meal without wearing it on your shirt. They work well and wash and dry beautifully. I saw a friend had it and realized how great it would be for my pregnant friend. My brother with advanced multiple sclerosis sometimes drools and also sneezes out his food occasionally. Mom wanted to protect clothing. To keep my clothes clean. I drive 80 miles one way to care for my mother. Sometimes I eat in the car while I drive. 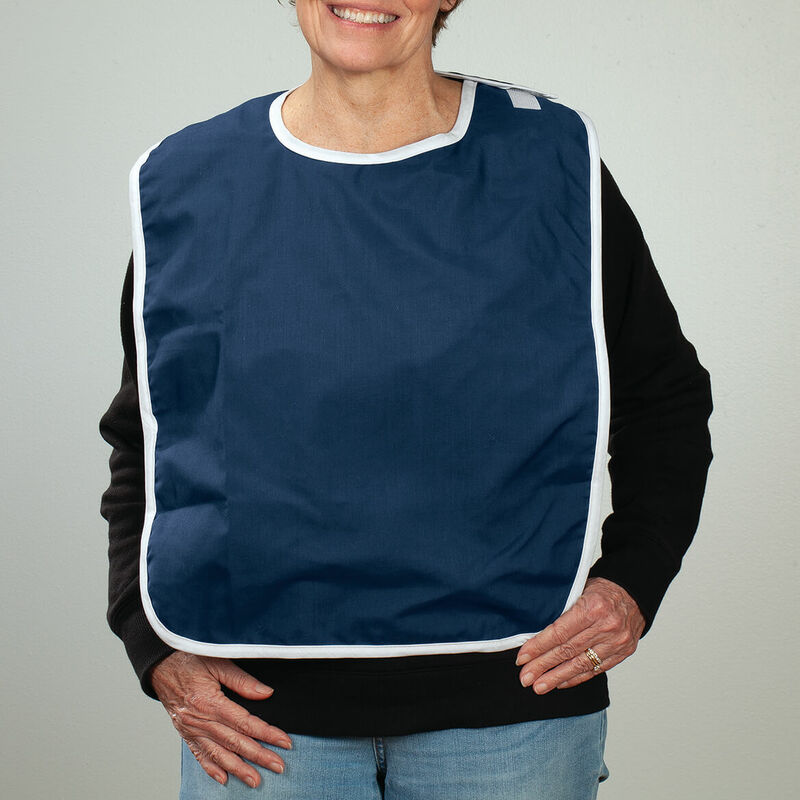 I need a protective cover to protect my clothing from potential spills. I am donating these items to a memory care facility. I'm always spilling liquid foods on my clothes (soups, stews, and even spaghetti). This will keep my clothes looking nice. I am a sloppy eater. I come home on my lunch hour and will use to cover up my uniform while I eat. My spouse is disabled and this looks real helpful for mealtimes. 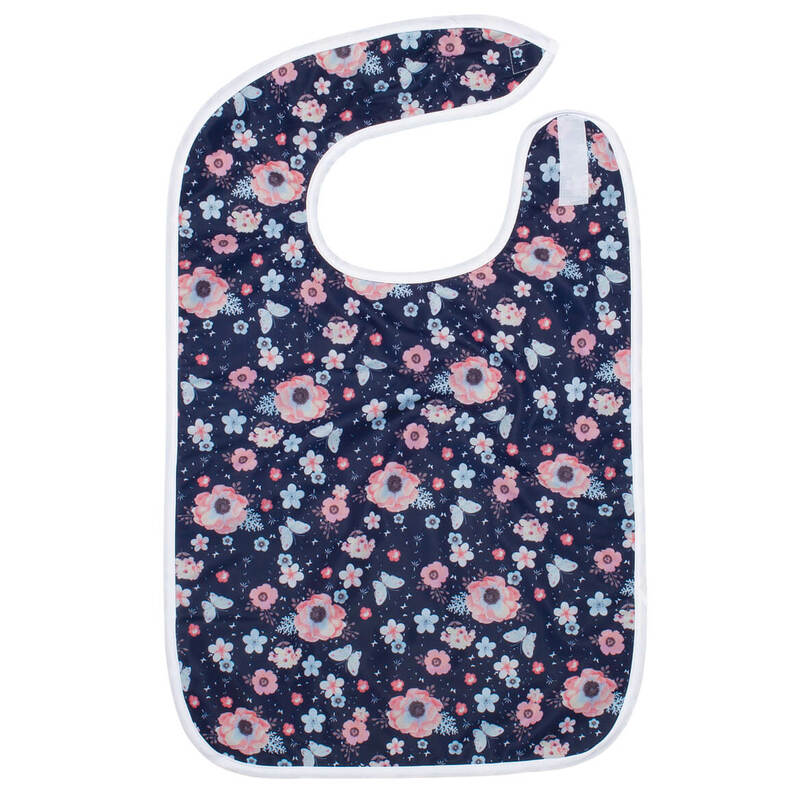 Using home-made bibs from bath towels now, but looking to something that does not leak liquids through to clothing. Have dexterity problems. Certainly helpful to protect clothes while eating/drinking etc. It's washable--at least that's what it says! I'm really hoping this will help with splatters when cooking. My grandmother has Parkinson's & spills her food. This will protect her clothes. An investment to save my clothes from stains. Also, I can just wipe off any food that gets on it with a damp cloth. Chosen for the waterproofing. 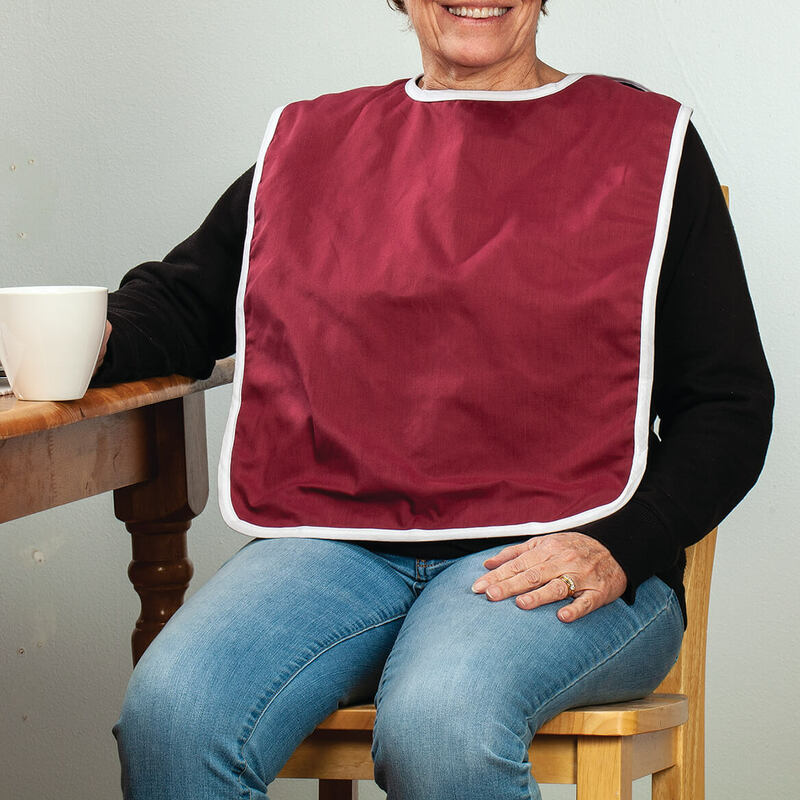 Your other sale bib is not waterproof. For mother in law that spills all the time when she eats. We tend to spill food so to protect our clothes. I chose these bibs because I am a sloppy eater and they work good. But I think that you should use something else instead of vel-crov for the fastening. To protect clothes when I come home for lunch.